It is truly back to school season. My facebook feed is filled with smiling kids with backpacks as they head off to another year of school. As we prepare kids with their school supplies - crayons, notebooks and pencils - I want to talk about another supply! 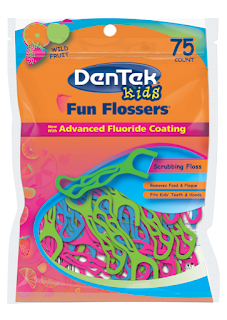 DenTek flossers, toothbrushes and toothpaste! While the bathroom is a place for us to freshen up and brush our teeth, every time we flush, droplets of contaminated water drift into the air, along with germs that can cause diseases like gingivitis. 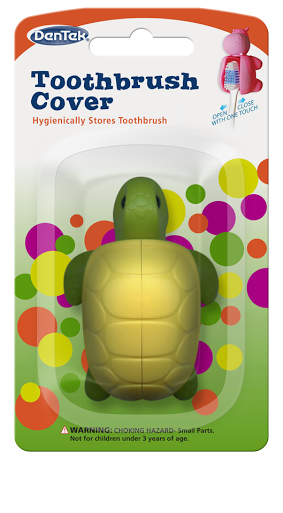 DenTek Toothbrush Covers protect kid’s toothbrushes from germs. Team up with Bugs Bunny and Tweety Bird to help make brushing a fun experience. These two-pack toothbrushes are specially designed for kids to ensure the freshest and most complete clean. Kids will want to brush with DenTek's Looney Tunes Kids Toothpaste, which provides effective cavity protection with a Bubblegum Blast flavored gel. 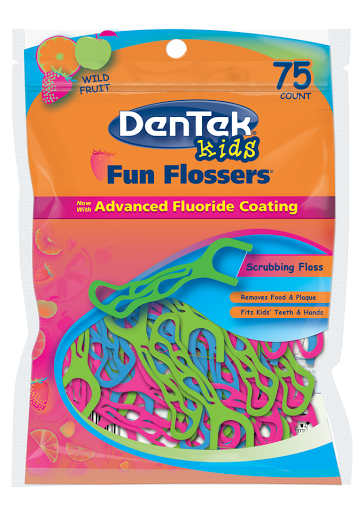 DenTek Floss Picks + Case – Perfect to have in kids lunch boxes and use after lunch time! Perfect for storing the floss picks in your favorite holiday clutch, the DenTek Floss Picks + Travel Case keeps floss picks handy for last minute touch-ups to keep your pearly whites looking perfect throughout any event! Stow floss picks effortlessly to ensure you keep your mouth healthy and fresh. Choose from blue, pink, purple, orange or green. I don't know about you but I like to have a clean mouth after I eat. I carry flossers in my purse and car because I want to be sure my mouth is comfortable! I think kids feel the same way! As we are packing their healthy lunches, why not throw a fun flosser in their lunchbox? Kids with lockers might want to have a stash for those quick groom sessions (I know my teen would!) Lots of kids with braces are already brushing during the day so be sure to stock them with toothbrushes and fun holders to keep everything clean! Kids will smile with confidence! One lucky reader will win a prize pack from DenTek! My daughter had to have a new backpack for school. glue sticks of course! Thanks so much for the chances to win. My must have is plenty of #2 pencils and erasers.